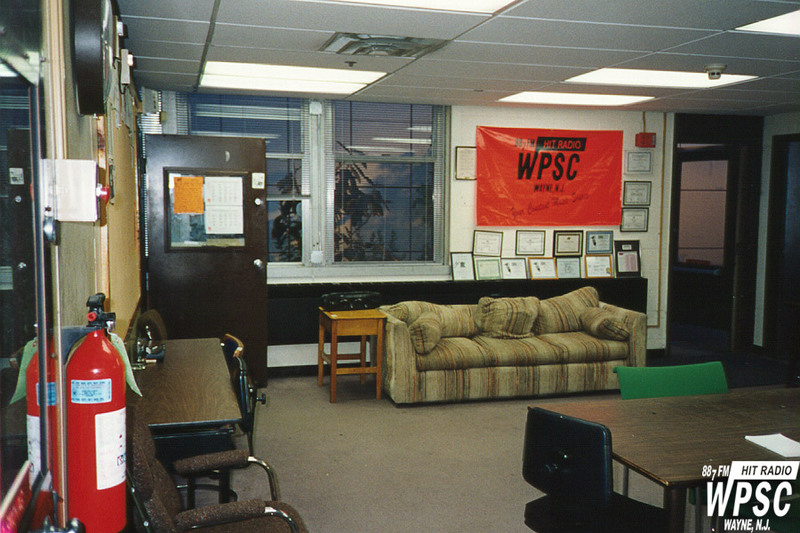 The WPSC-FM Lounge, or common area, outside of the studios. This view is from the doorway of WCRN. The door to the right led outside to the thermometer where "official" WPSC-FM temperatures were taken. Also outside was the USA Radio Networks satellite. This door was supposed to remain locked at all times, however, this was rarely the case. It was usually left open as the temperature inside the studios would get uncomfortably warm, even in the Winter.